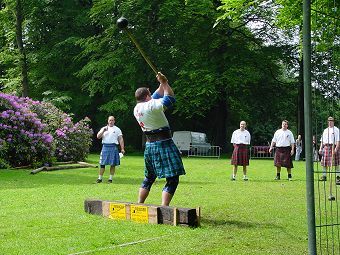 The 22# Hammer toss is the heavier of the two hammer throws in the traditional Scottish Heavy Events. The 22lbs hammer is a bit harder to handle then the 16lbs hammer due to the increased weight. The Scottish hammers are not thrown in the same style as the Olymic hammer. 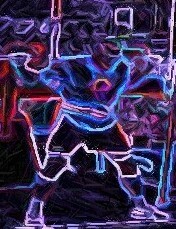 The athlete must remain stationary and the weight is swung around then released.